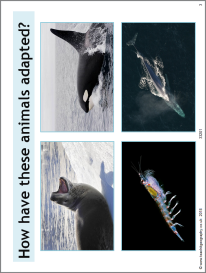 A resource looking at how animals adapt to life in Antarctica. Student use their knowledge of the climate of Antarctica and animal adaptations to design their own animal. A mark scheme is included.